Abstract: Terrestrial 3D laser scanning is one of principal methods to get the geometric information of object surface, and the integrity of the scanned object is a basic requirement in data acquisition. In order to solve the missing point cloud problem due to the scanning dead angle caused by confined working space, this paper proposes a method using ordinary plane mirror to obtain laser scanning data for non-direct viewing area according to the plane mirror reflection principle, analyzes the influence mechanism of the ordinary plane mirror on the propagation path and distance of laser beam, deduces the coordinate equation of the object point corresponding to the image point reflected by ordinary plane mirror in laser scanning. 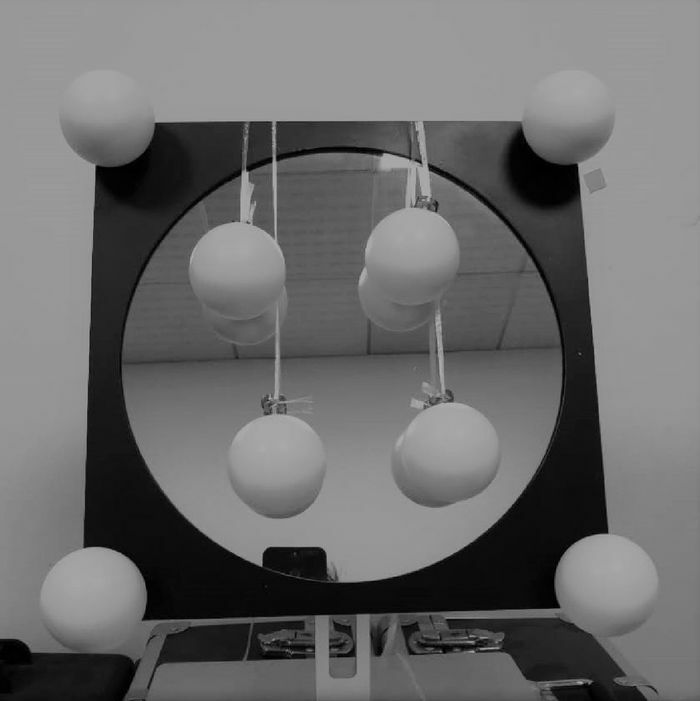 Given the laser scanning characteristic, this paper introduces a mirror reflection system included target balls and ordinary plane mirror, and expounds the system construction, system calibration and constructing method of system coordinate system. The feasibility and precision of the method are verified by experiments. 谷晓英. 三维重建中点云数据处理关键技术研究[D]. 秦皇岛: 燕山大学, 2015. 杨宇, 阚凌雁, 于佳, 等. 基于激光扫描的人脸三维重建方法[J]. 红外与激光工程, 2014, 43(12): 3946–3950. 潘建刚. 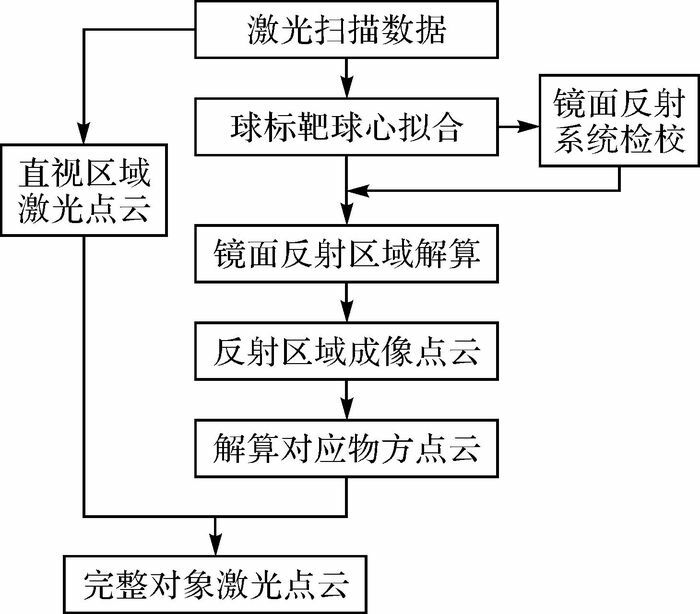 基于激光扫描数据的三维重建关键技术研究[D]. 北京: 首都师范大学, 2005: 33-34. 李珵, 卢小平, 朱宁宁. 三维激光扫描隧道断面形变监测精度验证[J]. 测绘通报, 2013(S1): 69–72. LI Cheng, LU Xiaoping, ZHU Ningning. Verification of Accuracy of Tunnel Section Deformation Monitoring by 3D Laser Scanning[J]. Bulletin of Surveying and Mapping, 2013(S1): 69–72. 周俊召, 郑书民, 胡松, 等. 地面三维激光扫描在石窟石刻文物保护测绘中的应用[J]. 测绘通报, 2008(12): 68–69. ZHOU Junzhao, ZHENG Shumin, HU Song, et al. 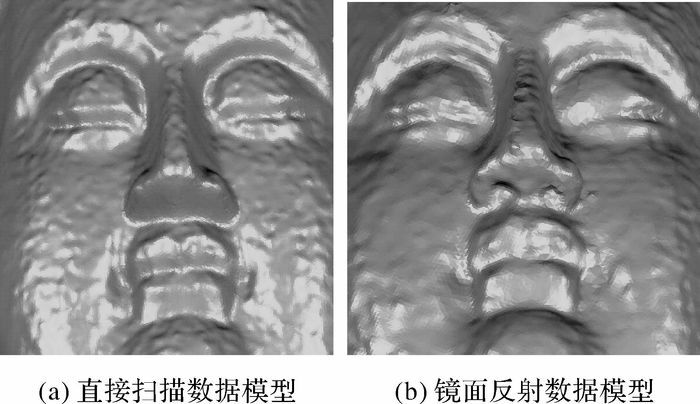 Application of Ground 3D Laser Scanning in The Inspections of Stone Carvings[J]. Bulletin of Surveying and Mapping, 2008(12): 68–69. 李晖, 吴禄慎. 三维激光扫描技术在虚拟现实中的应用[J]. 南昌大学学报(工科版), 2007, 29(3): 239–242. LI Hui, WU Lushen. 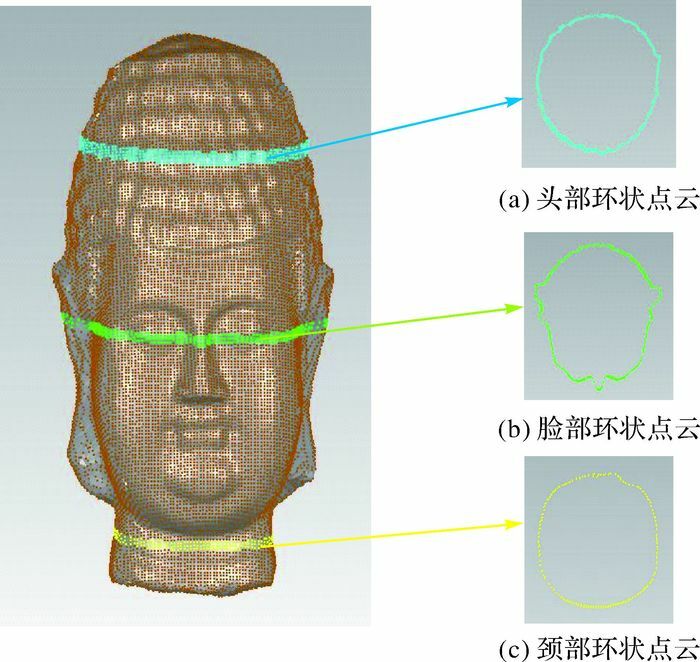 Application of 3D Laser Scan Technology in Virtual Reality[J]. Journal of Nanchang University(Engineering & Technology), 2007, 29(3): 239–242. 陆旻丰, 吴杭彬, 刘春, 等. 地面三维激光扫描数据缺失分类及成因分析[J]. 遥感信息, 2013, 28(6): 82–86. LU Minfeng, WU Hangbin, LIU Chun, et al. Classification and Cause Analysis of Terrestrial 3D Laser Scanning Missing Data[J]. Remote Sensing Information, 2013, 28(6): 82–86. 陈志杨, 张三元, 叶修梓. 点云数据中空洞区域的自动补测算法[J]. 计算机辅助设计与图形学学报, 2005, 17(8): 1793–1797. CHEN Zhiyang, ZHANG Sanyuan, YE Xiuzi. An Algorithm for Automatic Filling of Holes of Point Cloud in Reverse Engineering[J]. Journal of Computer-Aided Design & Computer Graphics, 2005, 17(8): 1793–1797. 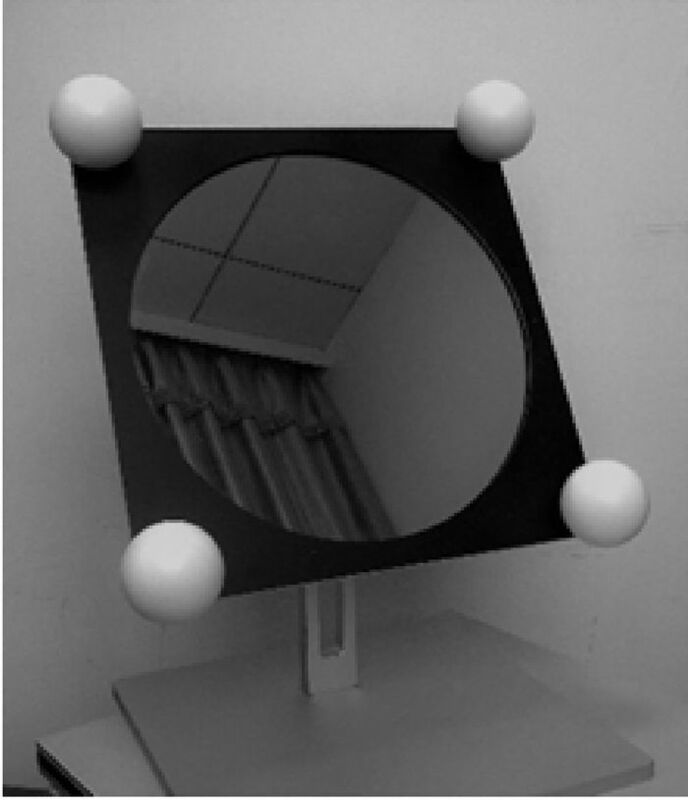 FASANO A, CALLIERI M, CIGNONI P, et al.Exploiting Mirrors for Laser Stripe 3D Scanning[C]//Proceedings of the 4th International Conference on 3-D Digital Imaging and Modeling.Banff, Alta., Canada:IEEE, 2003:243-250. 陈阳. 三维点云数据配准方法研究[D]. 天津: 天津大学, 2013. 贾东峰, 程效军, 刘燕萍. 球标靶在点云数据配准中的应用分析[J]. 工程勘察, 2011, 39(9): 64–68. JIA Dongfeng, CHENG Xiaojun, LIU Yanping. 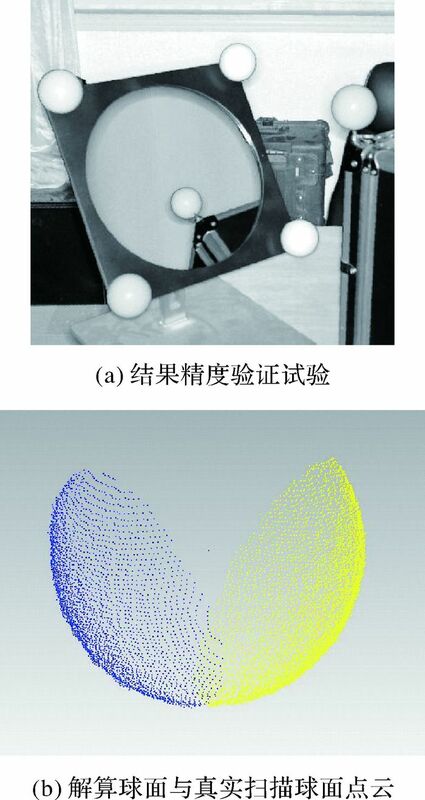 Research on The Application of Target Balls in Registration of Point Clouds[J]. Geotechnical Investigation & Surveying, 2011, 39(9): 64–68. 姚吉利, 马宁, 贾象阳, 等. 球形标靶的固定式扫描大点云自动定向方法[J]. 测绘学报, 2015, 44(4): 431–437. 肖博文. 基于平面提取的三维点云点配准算法研究[D]. 北京: 中国科学院大学(工程管理与信息技术学院), 2016. 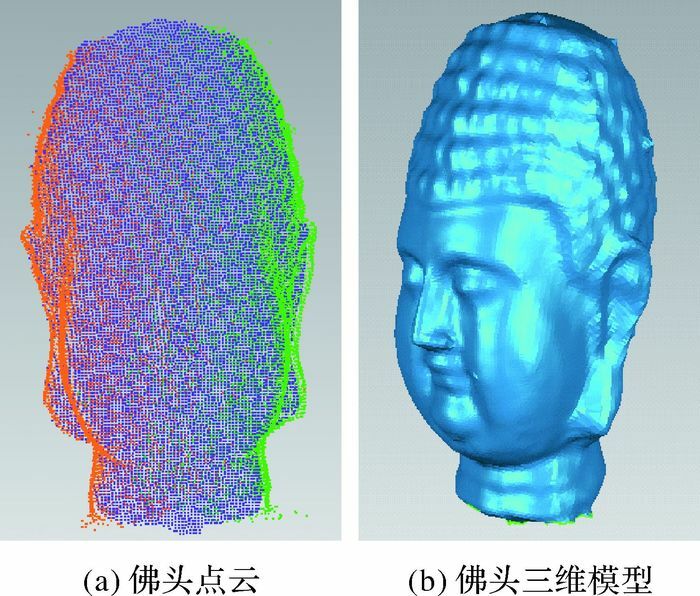 XIAO Bowen.3D Point Cloud Registration Algorithm Based on Plane Extraction[D].Beijing:University of Chinese Academy of Sciences (School of Engineering Management and Information Technology), 2016. 常江. 基于特征匹配的三维点云配准算法研究[D]. 太原: 中北大学, 2015. 周朗明, 郑顺义, 黄荣永. 旋转平台点云数据的配准方法[J]. 测绘学报, 2013, 42(1): 73–79. ZHOU Langming, ZHENG Shunyi, HUANG Rongyong. 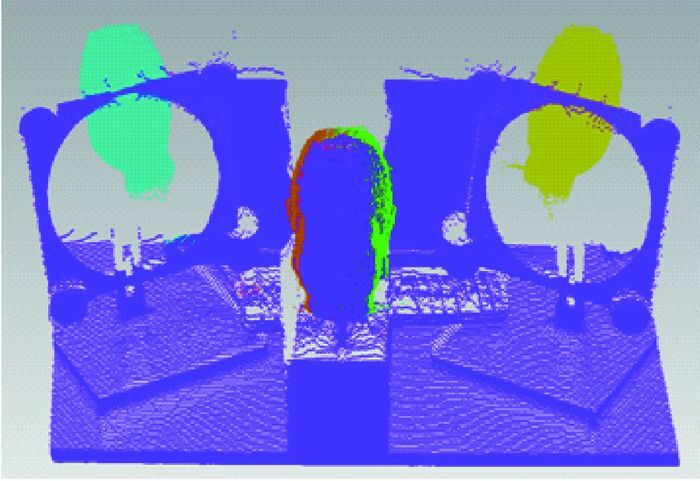 A Registration Algorithm for Point Clouds Obtained by Scanning Objects on Turntable[J]. Acta Geodaetica et Cartographica Sinica, 2013, 42(1): 73–79. 张毅, 闫利, 杨红, 等. 地面激光扫描球形标靶的球心误差研究[J]. 武汉大学学报(信息科学版), 2012, 37(5): 598–601. ZHANG Yi, YAN Li, YANG Hong, et al. Spherical Center Error of Sphere Target in TLS[J]. 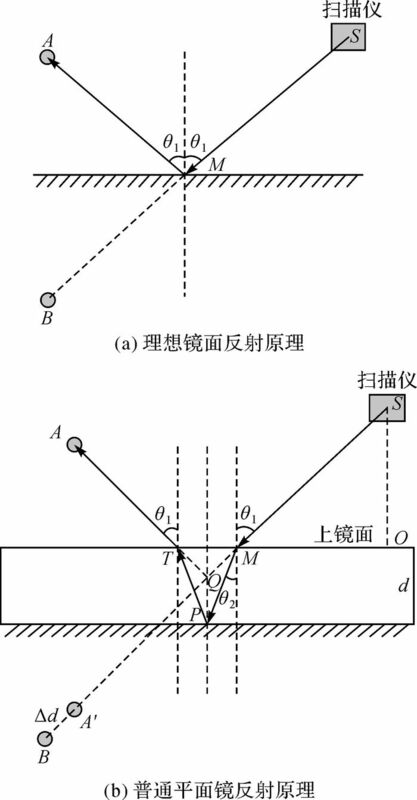 Geomatics and Information Science of Wuhan University, 2012, 37(5): 598–601. 龚循强, 李志林. 稳健加权总体最小二乘法[J]. 测绘学报, 2014, 43(9): 888–894, 901. 袁豹, 岳东杰, 赵元忆, 等. 基于稳健加权总体最小二乘法的地面三维激光扫描球型标靶定位[J]. 勘察科学技术, 2013(1): 19–22. YUAN Bao, YUE Dongjie, ZHAO Yuanyi, et al. Spherical Target Positioning of Terrestrial 3D Laser Scanning Based on Robust Weighted Total Least Squares Method[J]. Investigation Science and Technology, 2013(1): 19–22. 鲁铁定, 周世健, 张立亭, 等. 基于整体最小二乘的地面激光扫描标靶球定位方法[J]. 大地测量与地球动力学, 2009, 29(4): 102–105. LU Tieding, ZHOU Shijian, ZHANG Liting, et al. Sphere Target Fixing of Point Cloud Data Based on TLS[J]. Journal of Geodesy and Geodynamics, 2009, 29(4): 102–105. 官云兰, 詹新武, 程效军, 等. 一种稳健的地面激光扫描标靶球定位方法[J]. 工程勘察, 2008, 36(10): 42–45, 49. GUAN Yunlan, ZHAN Xinwu, CHENG Xiaojun, et al. 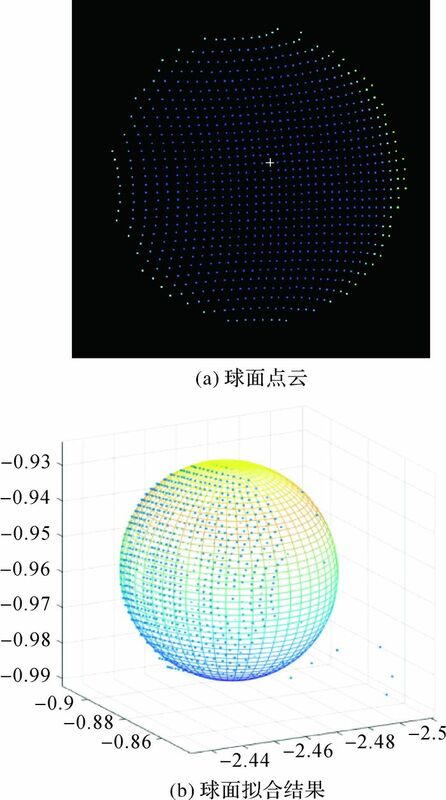 A Robust Method for Determination of Registration Sphere in Terrestrial Laser Scanner[J]. Geotechnical Investigation & Surveying, 2008, 36(10): 42–45, 49. 谭燕, 邹峥嵘. 近景摄影测量中不测定初始值的旋转矩阵构成方法研究[J]. 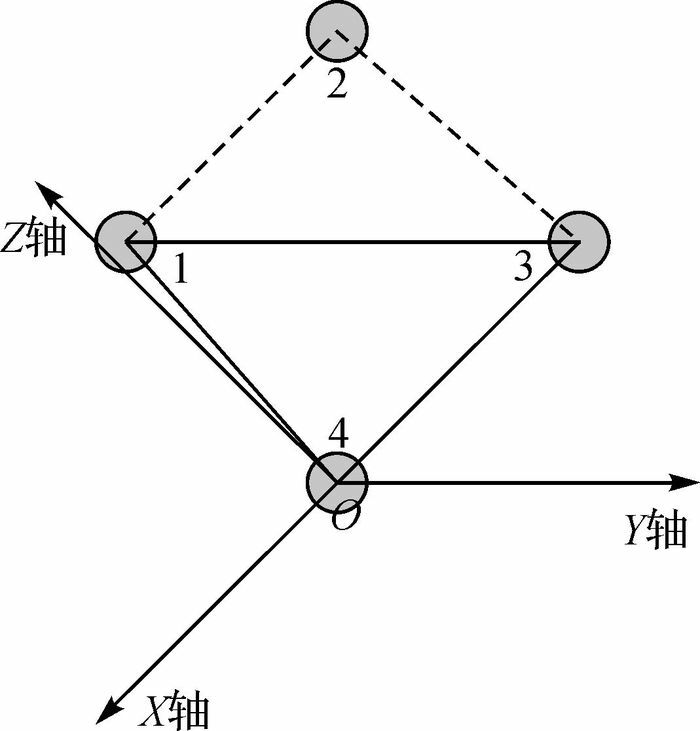 测绘科学, 2009, 34(5): 28–31. TAN Yan, ZOU Zhengrong. A Research of the Consruction of Rotation Matrix Without Approximate Values in Close-Rang photogrammetry[J]. Science of Surveying and Mapping, 2009, 34(5): 28–31. 江刚武, 姜挺, 丁静, 等. 直接利用旋转矩阵进行空间后方交会的原理和方法[J]. 测绘科学技术学报, 2009, 26(1): 15–19, 23. JIANG Gangwu, JIANG Ting, DING Jing, et al. Principle and Method of Space Resection Using Orientation Matrix[J]. Journal of Geomatics Science and Technology, 2009, 26(1): 15–19, 23. 姚吉利, 韩保民, 杨元喜. 罗德里格矩阵在三维坐标转换严密解算中的应用[J]. 武汉大学学报(信息科学版), 2006, 31(12): 1094–1096, 1119. YAO Jili, HAN Baomin, YANG Yuanxi. Applications of Lodrigues Matrix in 3D Coordinate Transformation[J]. 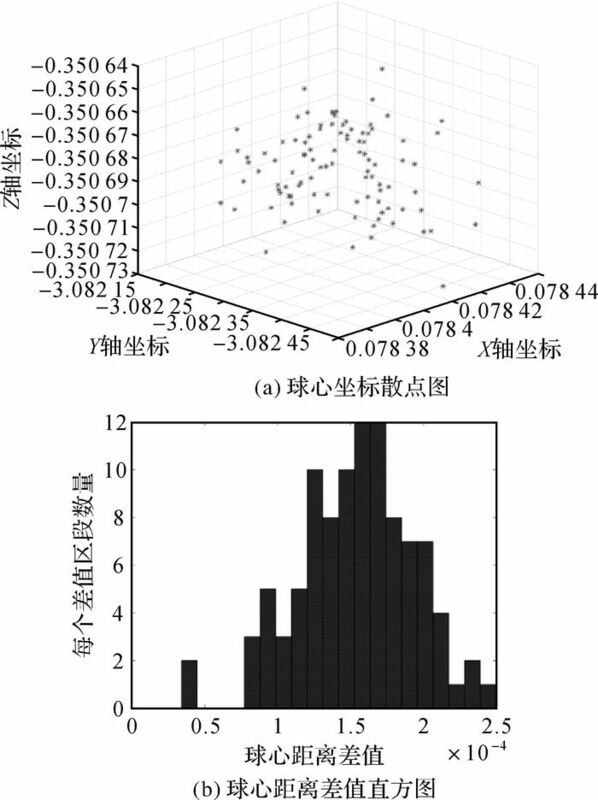 Geomatics and Information Science of Wuhan University, 2006, 31(12): 1094–1096, 1119.